1. 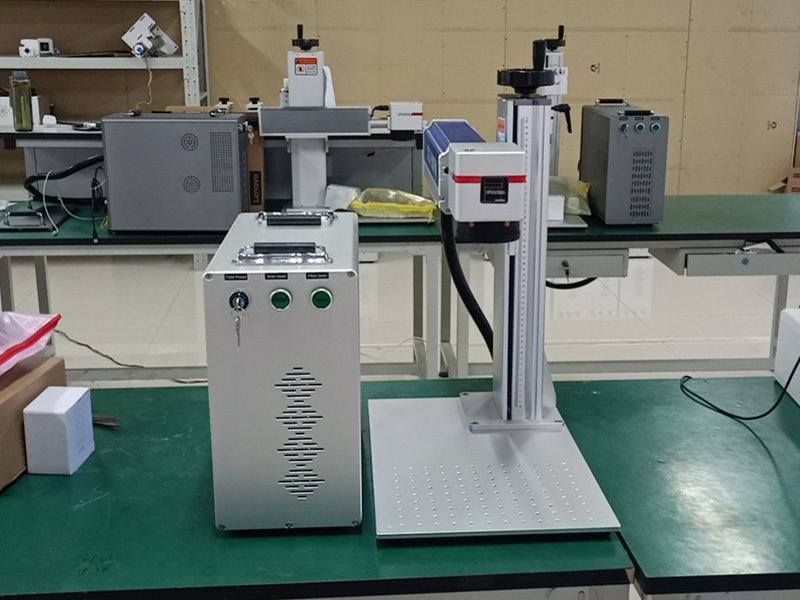 The laser machine adopts a scanning system for high-speed magnetic induction motor control with laser routes to the advantages of high accuracy and speed. 2. 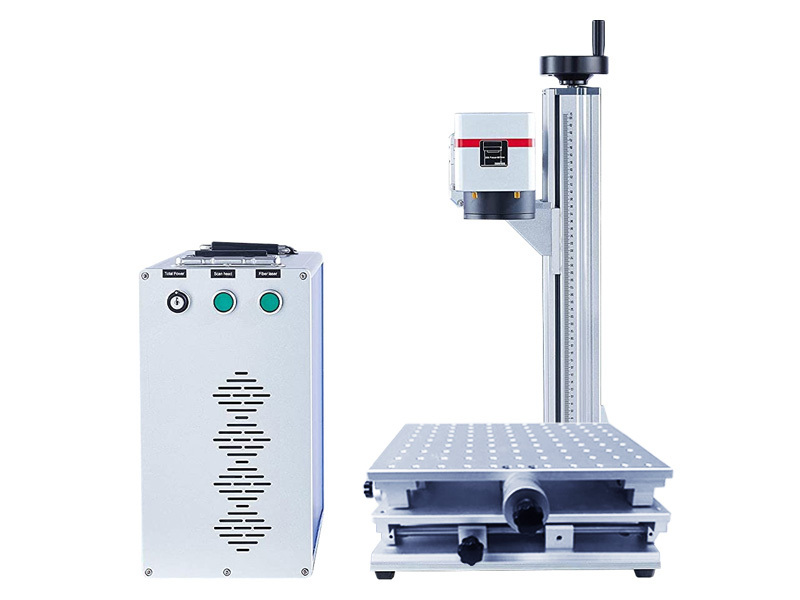 Fiber laser model has a over 100,000 hours service life. Almost no maintenance during this period. 3. 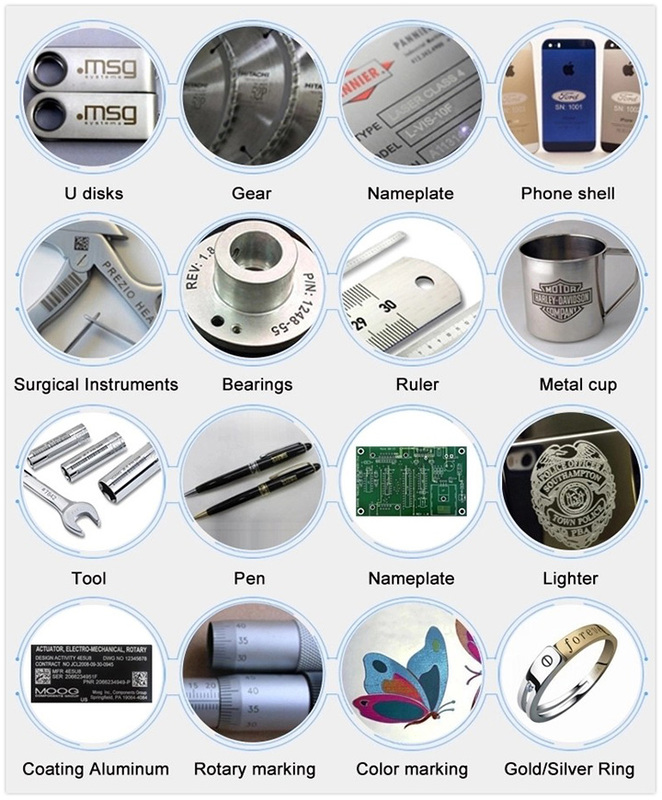 Permanent marking: Laser marking is a permanent marking. It won’t fade, run or become less discernable as time passes like traditional marking including ink jet, hand engraving, dot-peen marking. 4. Support coding, serial number, batch number, date number, two-dimensional bar codes and other codes marking. 5. Processed products arbitrary depth adjustable: Marking a clear, beautiful, permanent and difficult to wear. 6. High precision: 0.0025mm re-position accuracy. Minimum line width 0.01mm. 7. 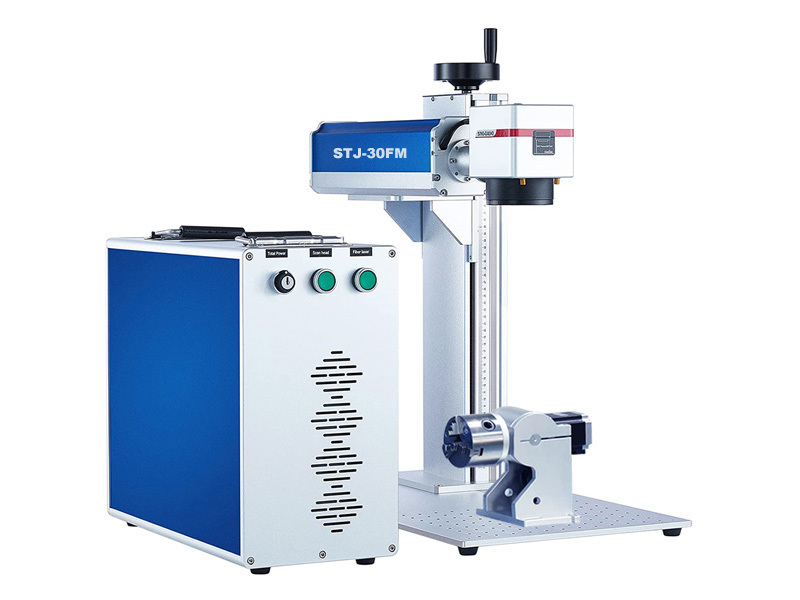 Non-contact process: Won’t cause mechanical extrusion or mechanical stress to materials. Laser beam won’t move the work piece. 8. Powerful software, which can support autocad, CordlDRAM mapping dxf, plt and bmp format. 9. Support almost all Windows-based software like Coreldraw, AutoCAD, Photoshop. 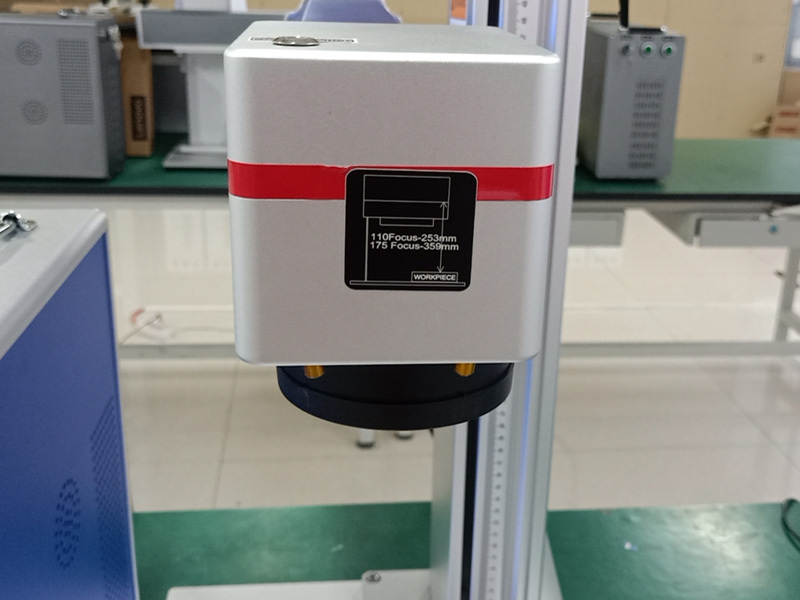 No need to adjust Q-switch easier than YAG diode marking machine. 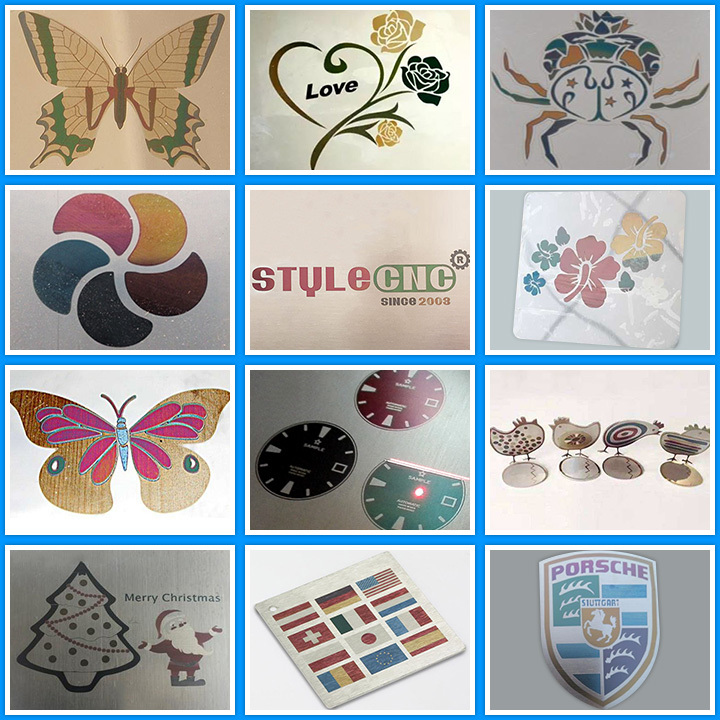 bmp, jpg, gif, tga, png, tif, ai, dxf, dst, plt, etc. 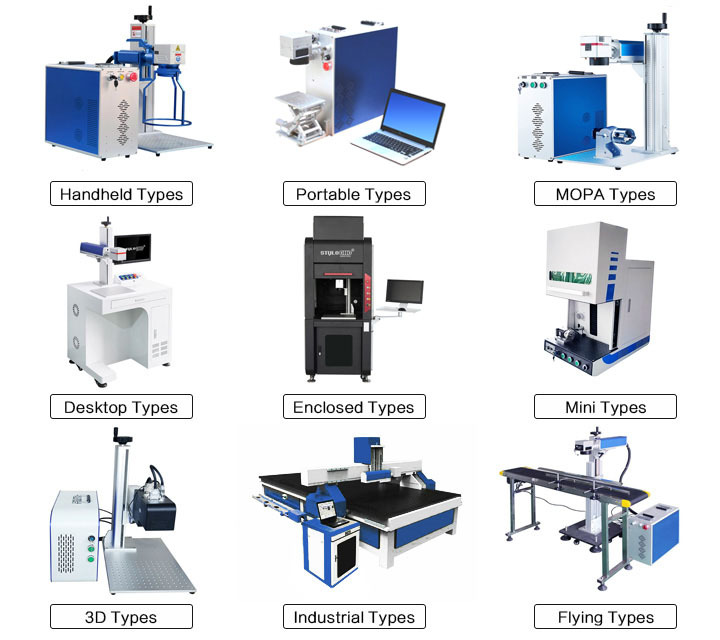 Applicable Industries: The fiber laser engraving machine is widely used for marking on the iphone back logo, TV controller keyboard, laptop keyboard, mobile phone keypad, plastic translucent keys, etc. 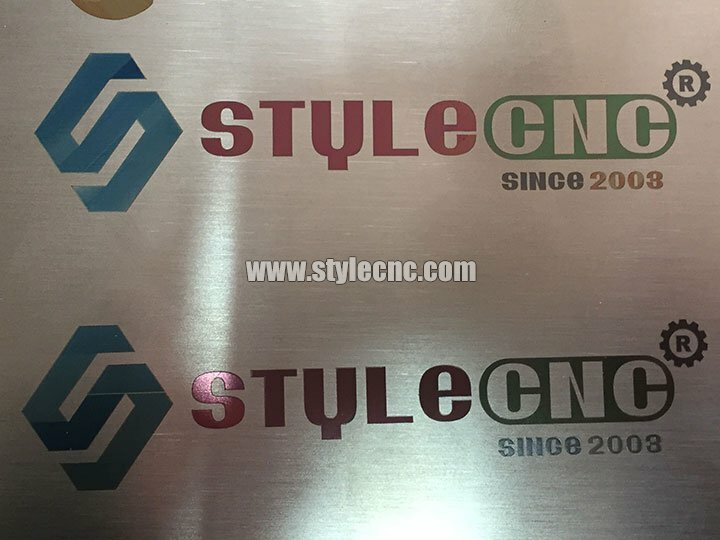 License: The text of "New Design Fiber Laser Engraving Machine for Color Marking" by STYLECNC is licensed under a Creative Commons Attribution 4.0 International License. 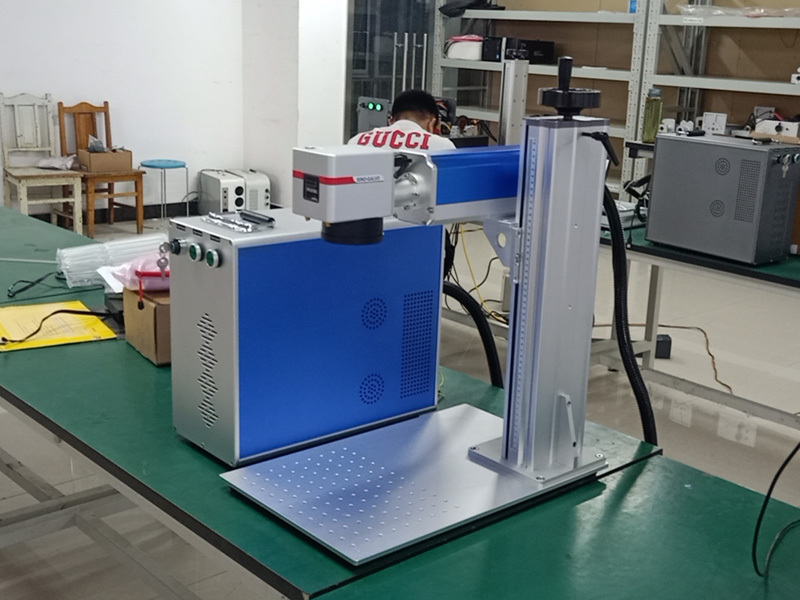 What an amazing fiber laser machine, I have to say I am very impressed with the amount of detail this machine can achieve, its able to connect with my laptop application is very easy to use although it's not very well explained it is easy to figure out what does what, I was able to get this up and running in no time at all. 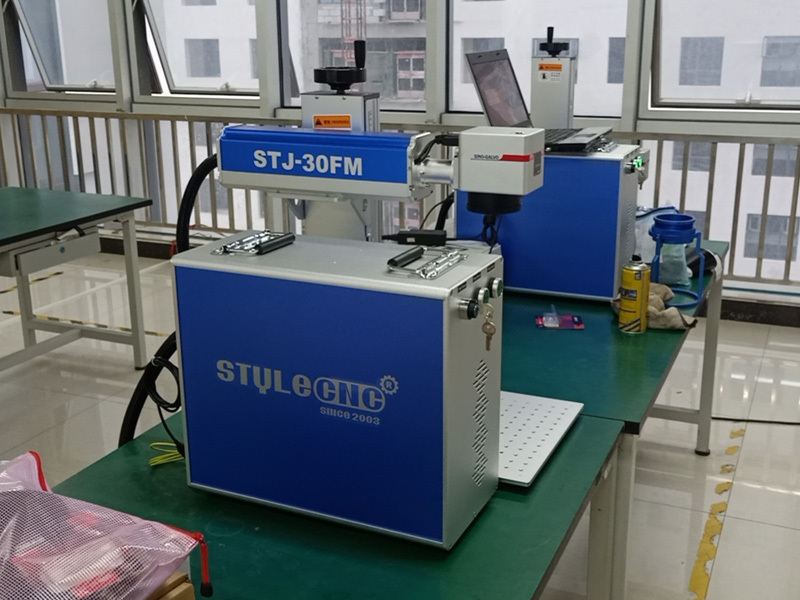 High-quality hardware, shipped on time, very accurate and precise engraving quality, very versatile, very easy to set up, and so far very reliable. I am floored with the capability I got for the price. The company is very easy to get ahold of. I can communicate with them emails or phone. They do communicate in English very well. Trustful seller, good after-service service, the seller can answer and solve my problems quickly. 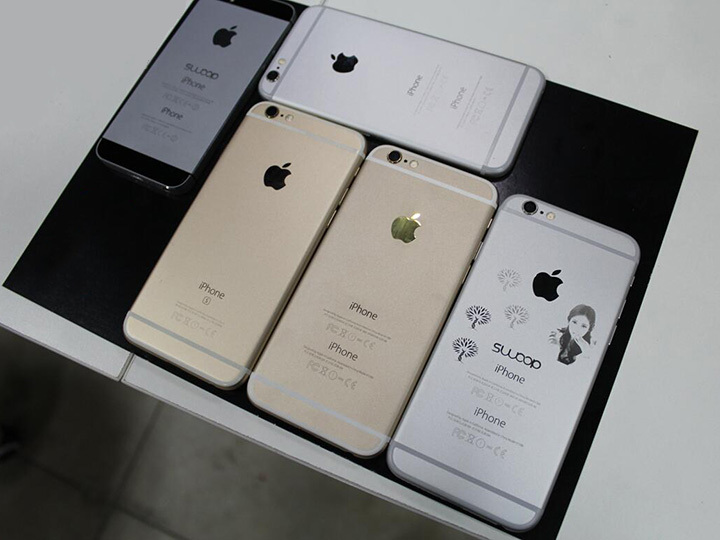 I had already installed the color laser engraving machine and use it. Good machine! STYLECNC worked very well with me to insure that I was happy with the transaction. 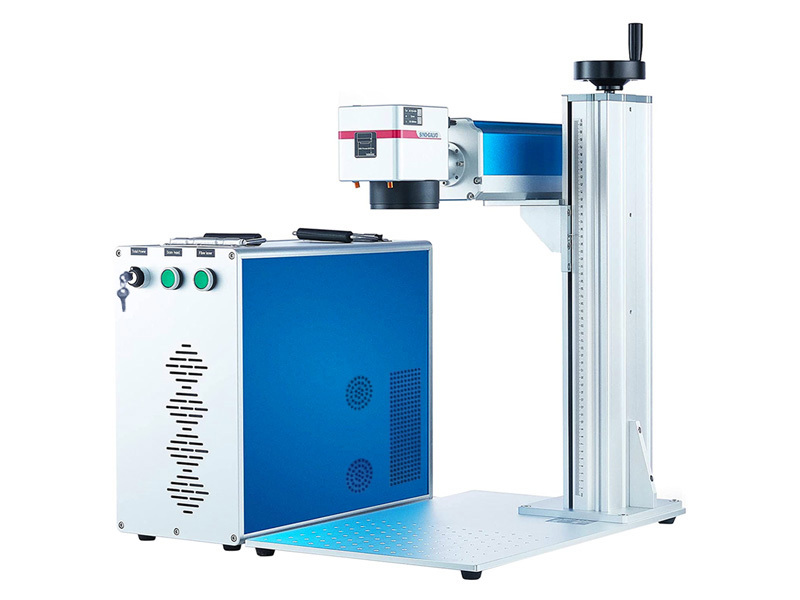 The best color laser engraver supplier to work with Fast, Professional, and Great Communication! I will buy again from STYLECNC in the future! I admit I did not expect a lot, however this machine turned out a pleasant surprise. It is quite well designed and thought out to the small details. Very neatly packed and nothing missing. Was relatively easy to assemble - requires just basic skills. All needed tools are supplied too. The color laser engraving machine is precise and quiet enough to be used in a living room. The seller is very responsive. Recommended.